Genetically modified (GM) foods are “plants or animals whose genes have been changed in the laboratory by scientists.” Recently, GM salmon have taken the spotlight in today’s health and consumer news. The FDA will soon decide whether or not to approve GM salmon as food. If approved, the GM salmon will be the first GM animal officially authorized for human consumption in the United States. In a freaky twist of nature, scientists have been able to engineer the salmon’s genes to continually produce growth hormone, which allows them to grow to full size in fewer than 250 days. In nature, it takes around 400 days for an Atlantic salmon to grow. Read on to learn more about this untested science and what it means for our food supply.1. The terms “genetically modified organism” (GMO) and “genetically modified foods” (GM foods) refer to plants or animals whose genes have been changed in the laboratory by scientists. All living organisms have genes written in their DNA. They are the chemical instructions for building and maintaining life. By modifying the genes, scientists can alter the characteristics of an organism. In agriculture, genetic engineering allows simple genetic traits to be transferred to crop plants from wild relatives, other distantly related plants, or virtually any other organism. Manipulating the genetics of foods is not new. 2. We have entered an era of genetically modified foods, which are just that — genetically mutated foods that are not necessarily better for you. The health implications not only to humans but also to the environment is a hotly contested debate; the introduction of genetically altered food could have serious consequences, such as allergic reactions and increased resistance to certain antibiotics. Two of the prime targets for genetic engineering — soy and corn — are America’s cash crops. – Adam Leith Gollne, The Fruit Hunters: A Story of Nature, Adventure, Commerce and Obsession. 8. About 90 percent of all soy is genetically modified (GMO). Soy is also one of the top seven allergens, and is widely known to cause immediate hypersensitivity reactions. While in the last forty years soy has occupied an important place in the transition from an unhealthy meat-based diet to vegetarian and vegan cuisine, it is time for us to upgrade our food choice to one having more benefits, and fewer negative possibilities. In 1986, Stuart Berger, MD, placed soy among the seven top allergens — one of the “sinister seven.” At the time, most experts listed soy around tenth or eleventh. 10. Stress increases our nutritional needs, but, sadly, today’s standard diet of refined, enriched, preserved, irradiated, genetically modified, pasteurized, homogenized, hydrogenated, and otherwise processed foods doesn’t begin to meet our increased nutritional needs. Today’s foods are less nutritious than their counterparts of yesteryear, owing largely to methods employed by modern agribusiness to increase agricultural yield and shelf life — at the expense of nutrient content and consumer health. 11. Stop eating unfermented soy and genetically modified corn. While soy and corn are less detrimental and Spent-causing than sugar or gluten, they do add to the body’s burden and can throw us out of rhythm. For the last twenty years, soy has been touted as the ultimate replacement for animal protein, fish, and dairy products. The thinking goes that Asian societies are healthier because they eat large amounts of soy. But the truth is that Asian cultures consume soy foods in small amounts (about 2 teaspoons a day) as a condiment and not as a replacement for animal foods. 14. Since the body becomes what we feed it, genetically modified foods and produce will have a negative influence on one’s cellular structure. 16. Laura Krause, like other American farmers who choose not to grow genetically modified corn, are now paying the price for the unwanted consequences of a technology they did not ask for. 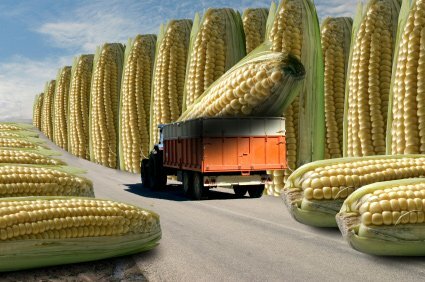 They are discovering that their economic fate is tied, through the complex connections of the agricultural commodities market, to the efforts of those French farmers to remove Monsanto’s fingerprints from their soil, and from the sentiments of European consumers who don’t want them in their supermarkets.